One look at his online persona will make you believe that Chef Thomas Zacharias of The Bombay Canteen in Kamala Mills, is having the time of his life. Chef Zacharias's Instagram and Twitter pages are filled with pictures of delicious-looking platefuls of food, made from ingredients from across the country. Far removed from the world of glitter lattes and charcoal ice-creams, Chef Zacharias' Instagram page is a haven for people harbouring a love for soulful food with authentic flavours. But the behind-the-scene reality of all this delicious-looking food is a whole lot of chaos, endless trials and errors and, of course, an undying passion for experimentation with food and flavours. This passion was inculcated in him, very early on in life, by his grandmother who had a superpower that he himself wanted to possess. "Just by cooking the simplest of things, she could make people extremely happy." "I grew up cooking with her in her kitchen and I saw her make the dish that translated within minutes into joy on people's faces and I thought that was magical", remembers Chef Zacharias, adding, "I wanted that superpower because the sheer joy of making other people happy is something you can't really replace." So many years later, he can say with confidence that his grandmother would have been proud of his attempts to elevate flavours from his home state of Kerala as well as those from across the country. 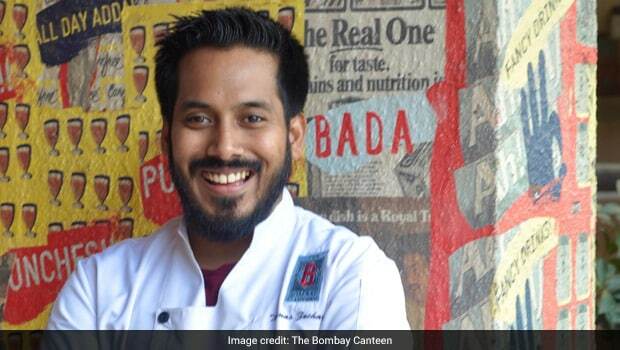 Chef Zacharias, who is currently working as the Executive Chef and Partner at The Bombay Canteen, has taken it upon himself to make Indians fall in love with Indian food and ingredients, through his #IndianFoodMovement. But his initiation into the world of cheffing wasn't 'desi' at all and it has taken him time to get back to his roots. After working at Olive in Bengaluru and another restaurant in Mumbai, he took some time off to travel around Europe, to experience food that he was cooking, at its source. So in 2013, he took a four month sabbatical and backpacked through 36 European towns and cities, working and exploring. "I couch surfed my way through the trip and in exchange I would cook them Indian food - dishes that I knew, dishes that my grandmother taught me. The one thing that all of them told me is that the way you're exploring our country, is something we haven't done ourselves!" That is when it struck him - he hadn't travelled enough around India either. An encounter with Chef Mossima Bottura while dining at Michelin starred restaurant Osteria Francescana was the final push. 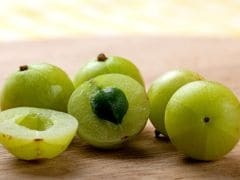 "He (Bottura) came out and started talking about how he was inspired by his grandmom and what he's trying to do is showcase the food of Modena. I just had an epiphany right then that said 'why am I trying to spend all this money and time, trying to learn a foreign cuisine, when I've done nothing to explore my own?' That's when everything changed for me". He came back and was soon looking at local produce in a new light. After joining the Bombay Canteen, he realised that his cooking career hadn't exposed him much to Indian ingredients. Also Read: Is Saransh Goila Of #GoilaButterChicken Fame The Next Sanjeev Kapoor? "I realised, I know nothing about Indian food. Travel is inevitable", said Zacharias, who has made it a point to travel to different parts of India and document what he learned there as part of his #ChefOnTheRoad series. He took his first trip around India four years ago and he says he hasn't stopped being amazed by the wealth of ingredients and flavours we have here. But the food and the varied flavours aren't the only things that he picked up from his travels around the country. "I realised that the way kitchens in Indian hotels are run is very different from what is actually found in people's homes around the country. It's a cuisine of its own and has evolved out of convenience". But that obviously doesn't work for Chef Zacharias, who wants to recreate flavours of a region exactly in the manner of the locals. "The flavours need to be true. The technique needs to be sound." Beyond the kitchen, he is a leader and a mentor who is trying to hone the careers of the young chefs working under him. He looks at his role as a multi-faceted one: "The role and responsibility of the chef has gone beyond just what's on the plate. You need to think about how what you do is affecting the environment. You need to think about how you're influencing the next generation of chefs. You need to think about how you're treating your employees within this space, the example you're leading". He has an innovative way to make his chefs' jobs more enriching - staff meals, where everyone gets to individually explore their own regional cuisine, lead the team and put the meals on. "A lot of them don't know how to cook the food that they grew up eating. But by the end of this activity, you can tell how proud they are to cook the food". Mentoring young chefs is a responsibility that Chef Zacharias cherishes and his advice to young chefs is this: "It's a tough line of work because you need to keep pushing yourself to learn and grow constantly. There's no shortcut to it. Be self-conscious and introspect on where you stand." Talking about his own experiences starting out in the industry, he said, "I've had those days where you want to just give up and do something else. But you've got to fight through it. But on the bright side, it's a great time to be in the food industry. People are more experimental, chefs are respected." Also Read: Ras No Fajeto: Why This Gujarati Mango Kadhi Is A Class Apart! He says 17 years ago, his friends and family would tease him calling him a bawarchi, but now things have undergone a sea of change. "Many times, I'm the coolest person in the room to walk in", he says with a laugh. But he doesn't see himself as just a chef. "I think of myself as a storyteller for Indian food", he said. He is proud of turning his restaurant into "more than just a restaurant", by virtue of exploring Indian regional food in a unique way. "Inevitably, all our food has some context to India, in some way, shape or form. Every dish has a story and we train our staff here to translate that to our guests as well." Asked whether he also believed Indian food will phase out burgers and pizzas, like Vice President Mr. Venkaiah Naidu said at an event earlier this year, he said, "I believe that as well. We're sitting on a treasure trove of food. American food history is only about 200 years old. Here we have thousands of years of food history and traditions that are completely untapped." He firmly believes that our country's growing liking for hyperlocal food is not a passing trend, but is here to stay. "It's a bright future and I'm glad to be part of it". Chef Veena Arora, The Spice Route: "Thailand Will Always be Home"